Practically all satellites are small and very far. Trying to see a satellite is like trying to recognize a car in New York City when we are above Washington D.C. However, the ISS is a relatively large satellite: it is as large as a football field. The ISS is large enough and close enough for us to see its details using a telescope or a high zooming camera lens. There’s another problem. 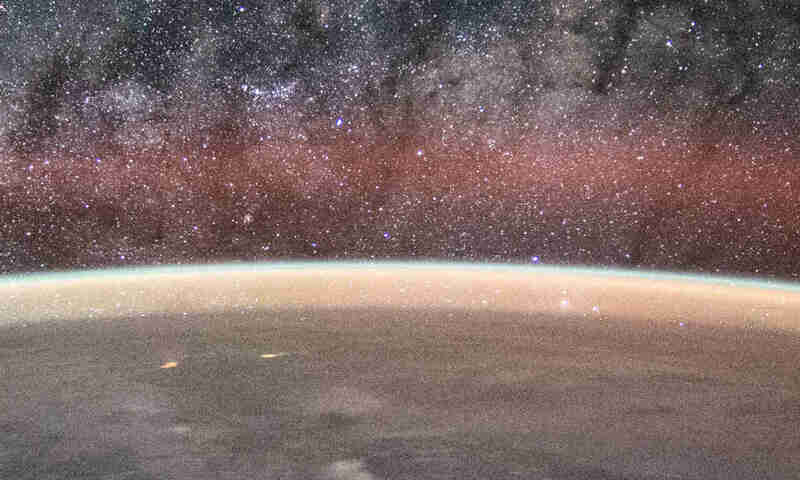 The ISS is moving across the sky very fast. Even if we have a high zooming camera, the ISS is way too fast for us to aim and get a decent picture. A solution to the problem is to observe the ISS when it passes in front of the Sun or the Moon. The Sun and the Moon move relatively slowly, and we would have no problem tracking them, even without specialized equipment. The ISS moves very fast across the Sun or the Moon. In most cases, an ISS transit happens less than two seconds. It requires careful planning to take pictures of ISS transits. To find out when an ISS transit happens in an area, we can use services like transit-finder.com. 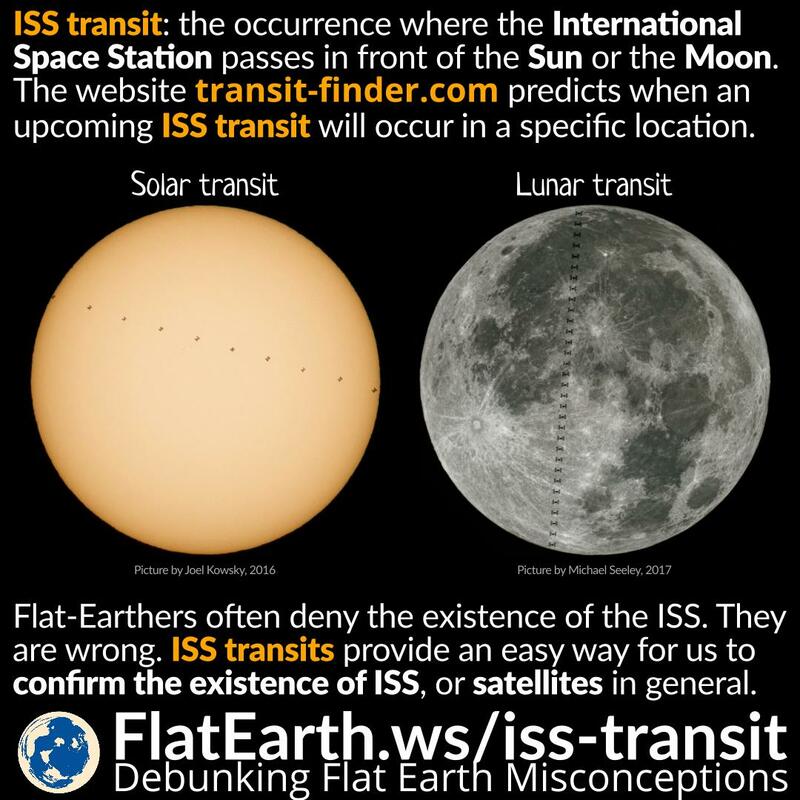 The transit of ISS is a relatively easy way to prove that ISS and satellites do exist, showing once again that flat-Earthers are wrong.